Hmm. 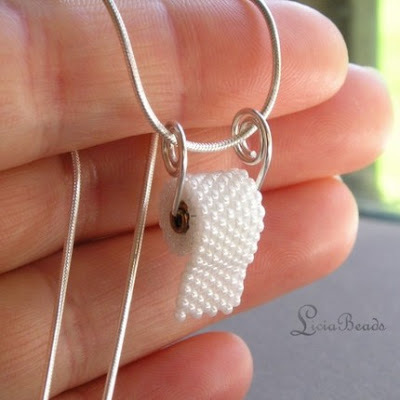 I've spent the last five minutes chewing on a nail trying to decide whether this loo roll necklace from LiciaBeads on Etsy is very, very wrong, or very, very right. I have concluded that it's both. This necklace works on so many levels! Roll of Toilet Paper necklace, $USD 35. "Because security is always having plenty of toilet paper." Ha Ha Ha - so wrong, yet so right! Comic Inspiration To Do The Housework! Oliver Bonas necklace - Ruby Slippers! I heart Hope and Greenwood. A lot. Something of a Domestic - Our Shopping Event! Coffee Table Book: There are cats in this book!